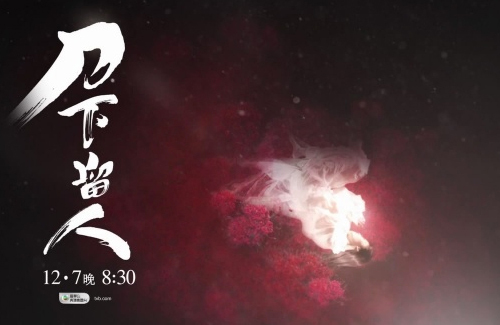 TVB’s next period drama The Executioner <刀下留人>, previously known as “Spare from the Blade”, will be premiering on December 7, succeeding the time slot of With or Without You <東坡家事>. The drama explores the meaning behind life and death, focusing on the story of an executioner, one who ends life; and a midwife, one who gives life. Executioner Yip Sheung-luk (Kenny Wong 黃德斌) has shed blood too many times to count. To protect his savior’s pregnant daughter-in-law Yuen So-sam (Elaine Yiu 姚子羚) from danger, Sheung-luk sends So-sam to the capital, where she is to stay with renowned midwife Fa Yui-hung (Maggie Shiu 邵美琪). A series of strange murders soon take place, and Sheung-luk saves a little life with his blade. But this baby boy of unknown origin gets Sheung-luk and Yui-hung in trouble with the imperial court. Step by step, the unlikely duo overcome obstacles together, developing a close relationship. Meanwhile, young couple Chek Tsz-chau (Mat Yeung 楊明) and Chuk Siu-moon (Katy Kung 龔嘉欣), both who have lived in a whore house for most of their lives, suddenly arrive at Yui-hung’s home. Siu-moon begs Sheung-luk to accept Tsz-chau as his disciple, but reckless Tsz-chau wants nothing more than to use this opportunity to escape from his punishment. Sheung-luk’s life changes forever after the appearance of mysterious magician Szema Chau (Joel Chan 陳山聰). The baby boy’s identity is uncovered, putting everyone one step closer to their own deaths. Is this Kenny’s first time as lead actor? TVB has not made a good and high quality ancient/period drama in many years. I really hope this one will be good. The plot sounds interesting so hope it will live up to everyone’s expectations. Hope that TVB does not become cheap on everything. However, after years of watching high quality ancient series from China, I really wonder if this can live up to those? @hetieshou even if the drama is good i dont like kenny wong as lead. his acting is stiff and boring,always the same face expression. not handsome either. better give young generation a chance. I agree with @kolo, don’t get your hopes high with this one cause Kenny Wong cannot act. The plots to be more original. Casts looks refreshing. I saw the trailer while watching TVB last night and it looks good. Do you know how many eps this series is? I have not seen a good ancient series from TVB/HK for a very long time. I love China series but really miss a good ancient HK series. @hetieshou wikipedia says 25 eps. I too, am looking forward to a HK ancient series that makes me happy. While I think Mainland Chinese ancient series have the upper hand in terms of cheap mass kelefe and scenery and also lots of money, HK ancient series in past have been able to win a lot of fans by its creative plots, fast pace and witty dialogue. I really don’t get why HK ancient series have been such a let down recently but i think they should make use of the little creative freedom that HK offers before China really takes over. @hetieshou What did you think of Captain of Destiny & With or Without You? I thought the latter is a pretty decent ancient series. It feels very “Hong Kong” — I think HK series should stylistically represent the place it’s made in; the same goes for China series. Maybe you’re used to ancient series from China and so HK ancient series may be harder to enjoy. I don’t think the style from TVB is going to change any time soon. The synopsis sounds interesting! I look forward to this drama, it sounds quite different from TVB’s recent dramas (which i’m starting to get tired of for the same plots). Kenny and Maggie as a couple… I rem they were or pretend to be a couple in Gem of Life too. Of course she has better chemistry with Bowie. But Kenny and Maggie also suit well as a couple too. @arc78 I remember them in Dance of Passion as well. Although from memory theirs was a loveless marriage. This plot sounds interesting. But oh why, oh why Kenny Wong?! *le sigh* They went from young green actors who can’t act to old, not a looker actors who can’t act. Lol. Smh. Sorry, lame cast and ancient tvb series not going to rate. It broadcast in xmas season so obviously tvb has no high expectations of this.